This ESP8266 default module that works by AT commands, thanks to the contributions of the community has made integration with Arduino IDE. This module (ESP8266) integrates the capabilities of an Arduino + Wifi (Ethenet) and easily the perfect combination for more or less one dollar, just personally I use in my applications in industrial integration, this module is perfect. Installing ESP8266 in Arduino IDE is only valid from version 1.6.4 and above, in my case there are newer versions but I liked the version 1.6.4 and it worked perfect. Step 5. Open Board to select and configure ESP8266 Generic. Step 6. Prepare Blink code example using the GPIO 2 output. 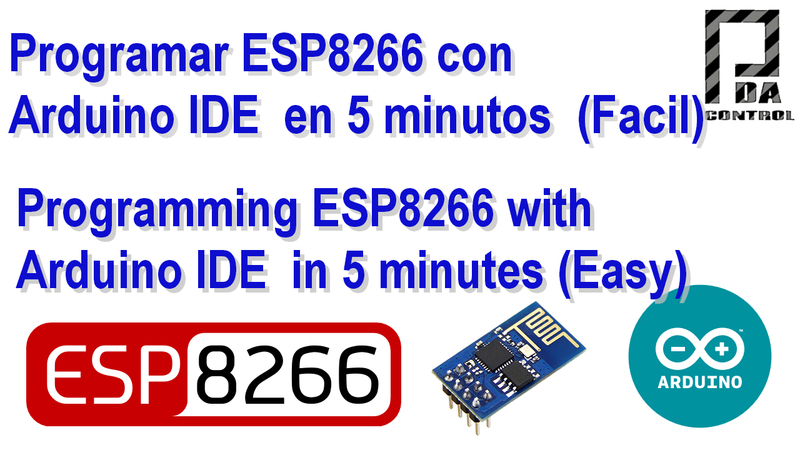 If set again ESP8266 mode AT commands with the same circuit and can configure the following video by Default, upload firmware by default.